Solihull Process Engineer Mark Stewart has been instrumental in removing single-use plastics from the line in manufacturing, in the name of protecting the environment and saving money. 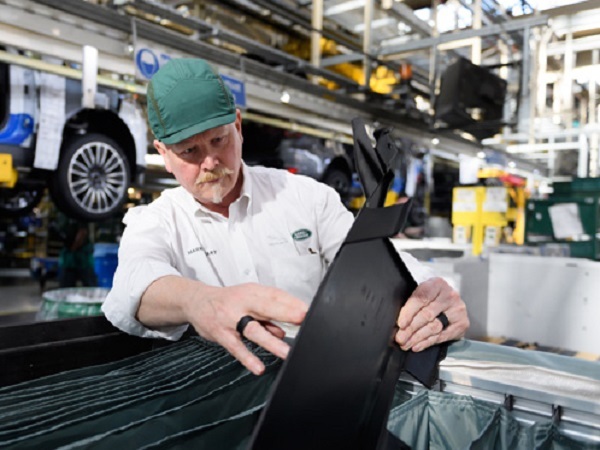 Traditionally suppliers would send parts to Jaguar Land Rover covered in plastic, which would serve its purpose as a protective layer. After that the business pays to dispose of it with little control where that material will end up. But Mark’s story goes back about 18 months to a weekend break in Valencia, as he was posed with a question by his wife that led to a truly remarkable project. Many would disregard such a comment, but just like a true engineer, Mark set about contemplating ways he could improve the environment when he had his eureka moment. 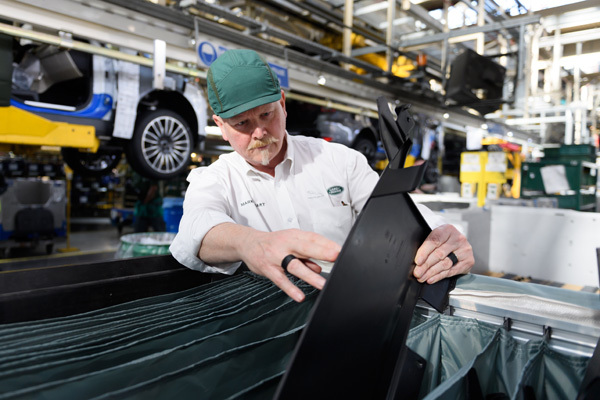 It was tackling these single-use plastics that has not only improved the Lode Lane site’s environmental credentials, saved Jaguar Land Rover money, improved health and safety, but also the morale on the line. Since the beginning of 2018, Mark with the help of colleagues Mariana Morgado, Charlotte Peake, Steven Tomes, Dev Bhalla and Daniel Birch took the challenge on to remove as many single-use plastic packaging from the manufacturing arena, starting with Final Assembly 1 and 2. In that time the small action team, alongside colleagues from – Material Planning and Logistics, Current Manufacturing Engineering, Material Cost Reduction, Packaging and Purchasing – have saved the business hundreds of thousands in expenditure on plastic parts packaging and logistics. 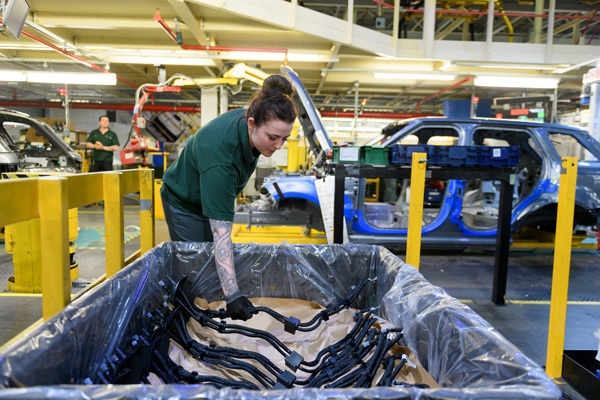 They have also rolled out the initiative to the Engine Manufacturing Centre, Castle Bromwich, Halewood and Graz. Mark is rightfully pleased with the team’s efforts, having saved more than 1,100,000m2 of plastic, equivalent to almost 154 football pitches, per year from just Solihull alone. “The problem with single-use plastics is that nobody knows the best way to use it when we don’t want it anymore,” he adds. “But it is not just about removing plastic bags entirely, it is just about making the right decision. In some cases the correct thing to do is to reduce the amount of plastic used to transport parts. This is one of many examples where the team has removed excessive plastic from the workplace, and in some instances created a better alternative. Working closely with suppliers, they have developed bespoke packaging, which are not only easier to recycle but also makes un-packaging on the front line less of a hassle. Getting everybody on side wasn’t without its challenges, while some suppliers were quick and enthusiastic to get on-board, others were reluctant to make such drastic changes. But Steve believes it was down to fear. He added: “Everybody is frightened of change, but in this instance every penny we save can go back into the engineer’s pockets. The story is a different one on the front line as it has been greeted with much joy by those colleagues, because it saves them significant time, especially with the pressurised time constraints they have to work within. Unaware of the impact this simple change has made, Mark was shocked by the reactions from those taking part in the initial line trial, after being smothered with affection for improving their lives on the line and giving them some much needed breathing space. 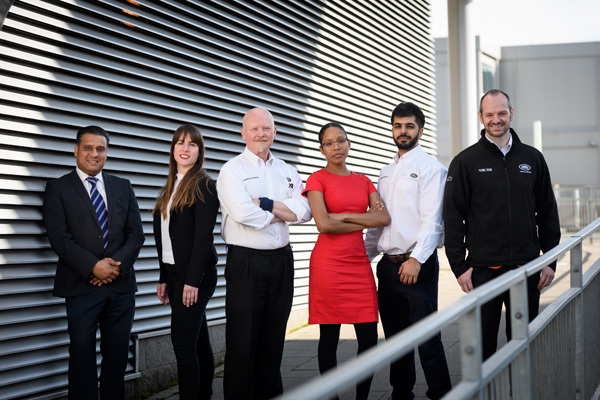 Although Mark, Mariana and the team have made great strides already, they are not resting on their laurels and have grander ambitions for the future, as Solihull, Castle Bromwich, Halewood, EMC and Graz expand their operations. 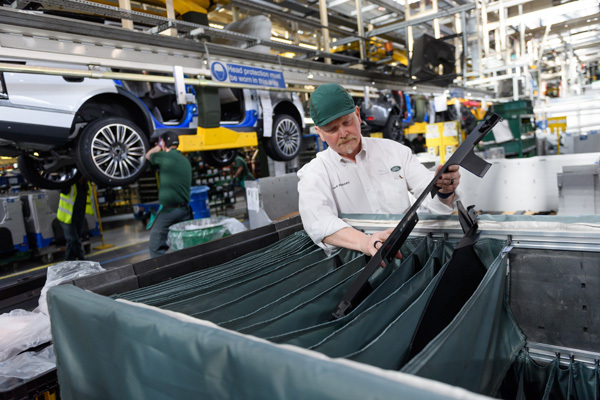 As a business, we are committed to reducing our environmental impact and improving our efficiency, with our UK operations already achieving its 2020 milestone of Zero Waste to Landfill. One focus area focus is the reduction of single use items with more than 14 million either replaced or removed so far, as we strive to get greater value from our materials and drive behavioural changes to make our business more efficient. If you have an idea to prevent/reduce/re-use/recycle waste from your work area, use the helpful Zero Waste Tool to develop it further.